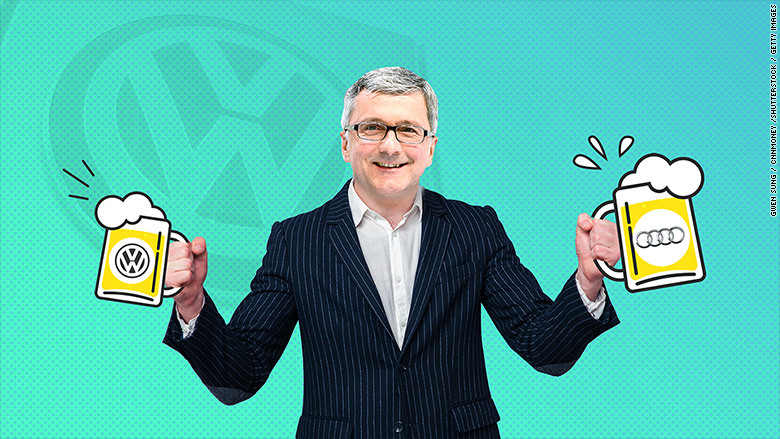 Here's another tale of corporate excess... and this one is producing more red faces at scandal-hit Volkswagen. The head of the group's Audi subsidiary was forced to pay 12,500 euros ($13,950) to reimburse the firm for the cost of a beer drinking competition he organized for managers, according to popular German newspaper Bild. The newspaper reported that the party last year was attended by about 30 top executives, and featured plenty of beer and a special Bavarian brass band that was flown in for the occasion. The party was originally claimed on expenses. But Audi chairman Rupert Stadler had to repay the firm after Volkswagen's (VLKAY) internal audit team spotted the claim, Bild said. When you break down the bill, Stadler spent over $450 per attendee. Audi boss Rupert Stadler has repaid his company for a massive beer party. 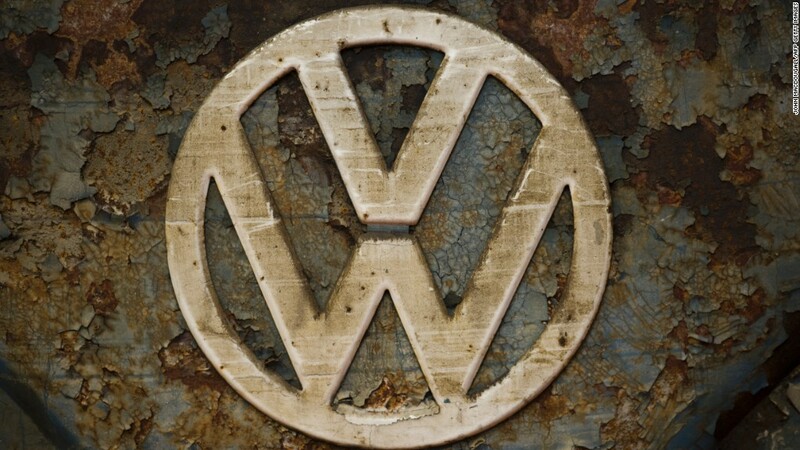 Volkswagen refused to provide details on the incident: "Please understand that we don't want to comment on it." News about the beer drinking session comes at a sensitive time for the company as it attempts to put its diesel emissions cheating scandal behind it. The firm cheated on emissions tests in the U.S. and Europe and is now paying billions to right its wrongs. Volkswagen recently agreed to a $14.7 billion settlement with the U.S. government to pay for environmental damage, and to compensate American drivers who bought hundreds of thousands of affected vehicles. The settlement is only a preliminary step in the case. The automaker still faces possible criminal charges, as well as civil penalties for Clean Air Act violations.